Top 10 fun and Simple Popsicle Craft Idea for Kids to do at home which adults can also enjoy. Here are many ways to convert ordinary popsicle sticks into exploding throwing stars, that burst into pieces on contact with walls, cupboards, and refrigerators. Popsicle sticks friction- fit together to create all sorts of cool objects and designs. 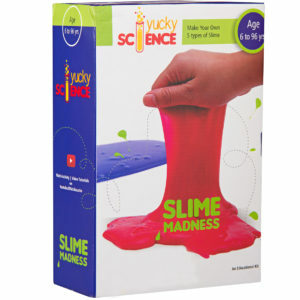 These activities increase the curiosity as well as reasoning skills of your little scientist. You need common home materials for the experiments. The Activities can be conducted at Home or School for interactive demonstrations. Popsicle Bridge is a fun experiment to build a bridge using popsicles and make it stand without any binding agent. Popsicle Chain Reaction is a fun experiment where kids can build a huge chain of popsicles and lock it using a specific pattern. Popsicle sticks lock together, to make a Popsicle butterfly shaped throwing star that explodes on impact. This cool Popsicle Fish can be made with Popsicles without glue. Popsicle sticks lock together, to make a Popsicle Fish. Popsicle sticks get locked in a specific pattern giving the shape of a Popsicle Star. Popsicle Tree sticks miraculously stick together with no strings attached. Popsicle sticks friction- fit together to create cool Popsicle Window. Through this Popsicle Chain Explosion experiment Kids can learn about energy conversion When the structure is built, potential energy gets stored. More the chain length, more is the potential energy accumulated. When one popsicle is removed from the structure the entire structure explodes converting the stored potential energy to kinetic energy. Kids can learn about energy conversion through this Popsicle Center Explosion experiment and how the pattern holds the chain without any binding element. Once the chain is formed, potential energy gets accumulated in the popsicles. But as soon as the popsicle from the middle of the chain is removed, the popsicles fly off and the potential energy gets converted to kinetic energy.